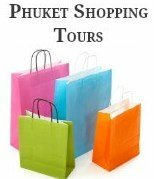 Come and explore the many Phuket attractions, from the Islands natural beauty to it's many festivals and cultural attractions. The Island of Phuket has over 4 million foreign tourists annually, whilst many of us come to simply relax and have fun in the sun. We should also get out and explore the island, as there are many beautiful places and wonderful attractions to see. There is a range of guided tours available such as eco friendly adventure tours, sightseeing tours, scenic helicopter tours and family adventure tours. You may even find that some of these Phuket attractions will cost you nothing or are quiet cheap to do. For example the viewpoints that are dotted around the island are amazing, the most popular is Promthep Cape, with views over the ocean to the surrounding offshore Islands. Or a visit to one of the many temples, no tour of the island is complete without a visit to Wat Chalong the most revered temple in Phuket. Or why not, embark on the adventurous drive up the mountain to see Phuket's Big Buddha, a local landmark and one of the most popular attractions on the Island for both tourists and devout Buddhists. There is also other attractions including the National Parks that are worth checking out as well as the Gibbon Rehabilitation Centre that is located in the Khao Phra Taew National Park. Phuket Town itself is loaded with attractions and we recommend you take a guided tour to explore the sights, including a tour to Chinpracha House which is one of the authentic Sino-Portuguese Mansions in Phuket, a reminder of the Islands important and fascinating history. The Island not only boasts some amazing cultural attractions it also has cultural shows, including the long running Simon Cabaret Show and Phuket Fantasea cultural theme park, both of these attractions are definitely worth seeing. Or maybe you will be lucky enough to be on the Island for one of the many festivals that are held throughout the year, one not to be missed is the Phuket Vegetarian Festival. Other Phuket attractions include the beautiful National Parks and waterfalls, and many other sight seeing adventures. 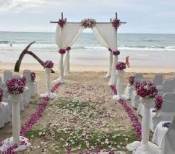 Some of the best day trips in Phuket are those that are found offshore. A must do, is a tour of Thailand's most loved National Park, the picturesque Phang Nga Bay with its limestone cliffs and sea caves, one of our favorite tours is the sea kayaking or sea canoe tour through the caves. Or experience the sea gypsies (The Chao Leh) way of life, at Koh Phan Yee the largest floating village that is built on stilts. While you're there you may like to experience the thrill of mountain climbing in Thailand and rappelling the limestone cliffs of Phang Nga, with a rock climbing tour. Not to be missed is an overnight stay or day trip to the stunning Phi Phi Islands with their soaring cliffs, white beaches and crystal clear waters. The Phi Phi Islands are regarded by tourists from all over the world as being the most beautiful tropical Islands in the world, and are one of the most popular tourist attractions in Thailand. We recommend spending a couple of days in Phi Phi, however if time is of the essence take a day trip by speedboat out to these amazing Islands that are popular amongst adventure travelers where they can go scuba diving, snorkeling and rock climbing. Another beautiful daytrip or overnight stay from Phuket, and one that shouldn't be missed is to explore Krabi, with it's stunning beaches, limestone cliffs and caves and colourful corals. Krabi is situated east of Phi Phi, an adventure tour will take you by speed boat to the white sandy beaches and coves of Krabi National Park and a visit to Hong Island. 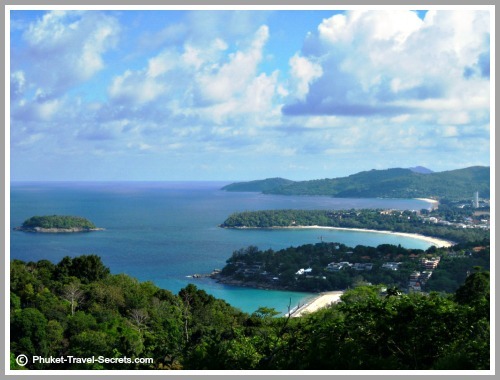 The Island of Phuket is surrounded by so many offshore Islands, it would take months to explore them all. As you can see Phuket is a great place to just lie back and relax, but it is also an excellent place to base yourself for daytrips to see many beautiful attractions including some of the best dive spots in Thailand. It is also a departure point for a large number of livaboard dive trips to the fabulous Simillan Islands and the Mergui Archipeligo, with many 5-Star Padi dive operators that are located on the Island. Whatever you decide to do on your holiday, make sure that you get out and enjoy the best Phuket attractions, some of which are listed above and most importantly have fun doing it..